Johnny B's Cookies was started in 2004 from a home kitchen. 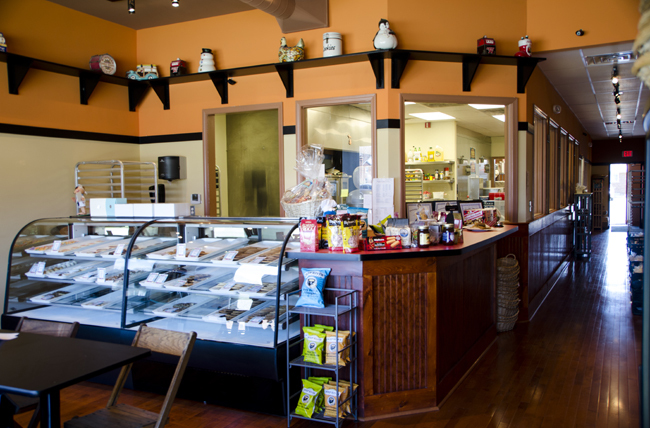 Co-owners, John Buda and Susan Muer, have carved out a gourmet niche in the Detroit regional market with their high quality cookies and baked goods. A production kitchen and store front was acquired in St Clair Shores Michigan after quick growth from the wholesale of their products to fine food markets, the owners are married. Susan Muer had her beginnings in the restaurant business. While, John Buda enjoyed a long ride in the stock market as a stock broker. Together they have teamed up to create a dynamic food company with exceptional high quality products baked from scratch. Their loyal customers believe Johnny B's Cookies bakes memories. And, we do. All of our products are made the old fashioned way, from scratch by hand; using only the finest ingredients available. From our chocolate, to our pure vanilla extract, Johnny B seeks and finds the best quality ingredients. Johnny B's is about "Fresh" too. Orders are baked and shipped each day to ensure maximum freshness. We offer a broad line up of cookies, premium bars, baked goods and cut-outs customized to the seasons. Lastly, Johnny B's products are yummy, well balanced, classic baked goods. Our motto has been from the very beginning: "So Good You'll Hide Them". We came up with that after hearing all the stories of our customers hiding them, so they could eat them all. Enjoy the cookie, enjoy the day.